Customers no longer view sustainable building materials as a specialty option. Rather, for many builders and homeowners, they’ve become mandatory. 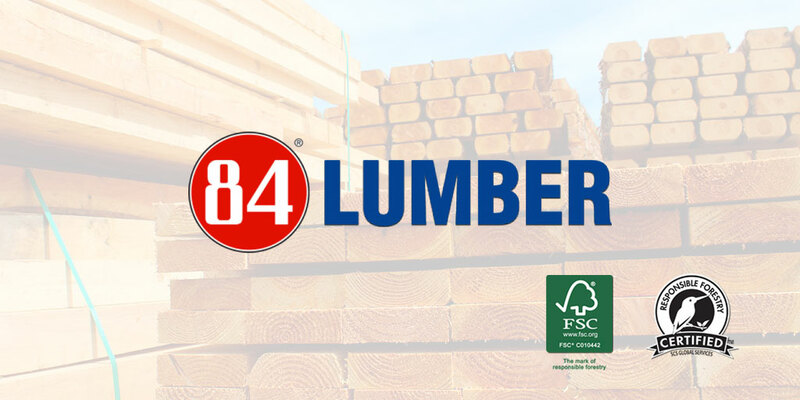 With a growing focus on environmentally-driven solutions that reduce the carbon footprint, protect ecosystems, and support workers and communities, 84 Lumber is reinventing its inventories to compete at the highest level. 84 Lumber’s Forest Stewardship Council® (FSC®) Chain of Custody certification (SCS-COC-001476) is key to this effort. This recognition positions 84 Lumber as a category leader, showcasing the company’s commitment to sustainable forestry to provide tangible and far-reaching social, environmental, and economic benefits.